The Good / The slick Hollywood-style videos make you think you're watching Shark Tank. The Bad / This is yet another binary options trading scam, which is actually brought to you by the creators of the Artificial Intelligence app. My Recommendation / Don't fall into this shark tank. 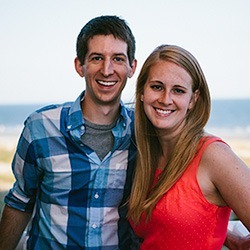 Stick with our #1 recommendation for generating an income online instead. There are a number of techniques used by binary options scams to convince you to sign up to their trading system and fund your account. Some binary options scammers tell you that you’re entering a ‘secret society’ of elite traders. Other scammers focus on one stock or commodity, such as gold, wheat or oil. Then there are the binary options scams that sell you on ‘foolproof’ trading systems based on the trades of expert traders. The many customer video testimonials that are provided in Copy The Pro claim that Brad is a well-known trader who’s been profiled in the news. However, when I searched on this guy, nothing turned up on places like LinkedIn or popular news sites like The Wall Street Journal. Admittedly, Copy The Pro features some well-done videos of near Hollywood quality. In fact, the sales video is called a “film” and is supposedly produced by a studio called Big World Films. You’d easily be fooled into assuming that you were watching a reality show here. In the screen shot shown above, Brad is “interviewed” by Olivia Stills. Here, he states that he is a “mathematician and economist” and that “trend recognition is my big secret.” The Copy The Pro app, which inputs and distributes his trades to his shark tank testers, has a greater than 80% success rate. But it’s not just physical trends that Brad recognizes and capitalizes on- he also spots psychological trends. How does Copy The Pro work? 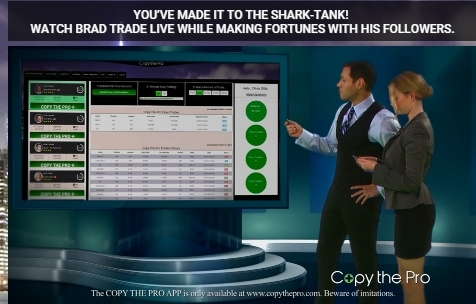 Brad tells Olivia that she will now be copying his trades via the Copy The Pro app. Olivia need do nothing more than copy Brad’s trades and watch her money grow. Also, all the money she makes will be hers to keep until she withdraws the funds into her bank account. What’s the real reality behind Copy The Pro? Reality #1: The traders are stock photos. However, upon performing a quick image search of “Chris Ferguson” and “Robert Dunwell,” I found both their images on Shutterstock, as noted here and here, respectively. “Sarah Phillips” and “Adam Patel” are images sold through Dreamstime, as noted here and here, respectively. Reality #2: The security and news seals go nowhere. As seen with numerous other binary options trading scams, the seals mean nothing because you cannot click on them and see the actual security certificate. The news seals also link nowhere. This is a simple copy and paste operation here, nothing more. Reality #3: Copy The Pro is listed on Clicksure. This explains why Copy The Pro has a full page of “positive” reviews on Google search, and also why all those positive reviews contain affiliate links. Reality #4: It’s the same scammers from the Artificial Intelligence app. 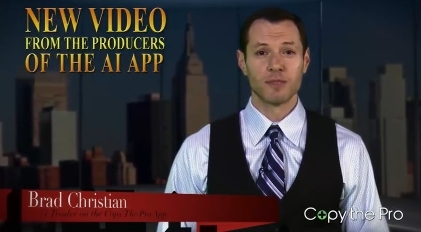 On the Copy The Pro affiliate page, Brad tells you that Copy The Pro is produced by the same people who are behind the Artificial Intelligence app. 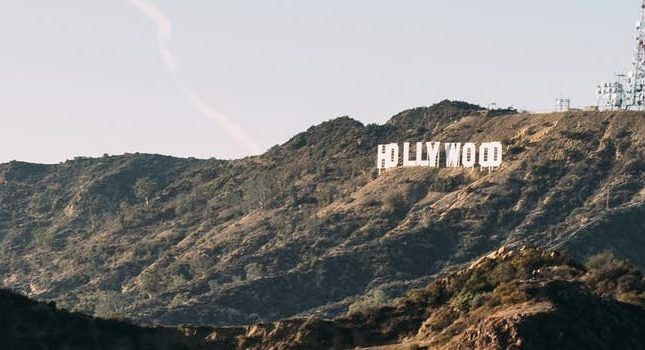 We already know that the AI app is a well-produced, Hollywood style binary options scam. Now, it looks like the producers have created a second professional-sounding binary options scam. Reality #5: Your account requires $600. When you finally get through all the “documentaries,” Brad tells you that you’ll need to open an account and fund it. The broker that I was directed to was Bee Options. On its funding page, I was instructed to deposit a minimum of $600. Summary: Don’t copy this scam. 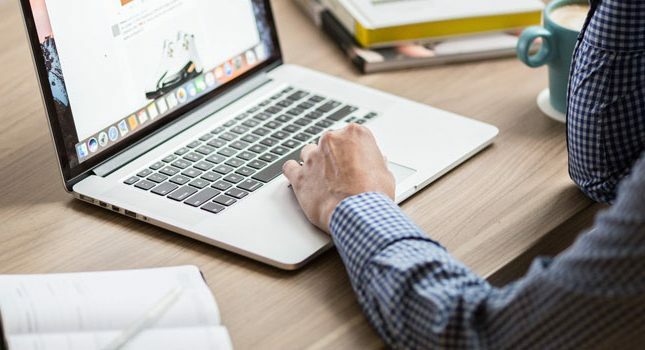 If you want to try binary options trading as an investment strategy, there are plenty of SEC-certified brokerages that will help you in that endeavor. However, the Copy The Pro app will not help you place winning trades. In fact, it’s doubtful that Copy The Pro is an app at all. Steer clear of this well-produced attempt to take $600 or more of your money.